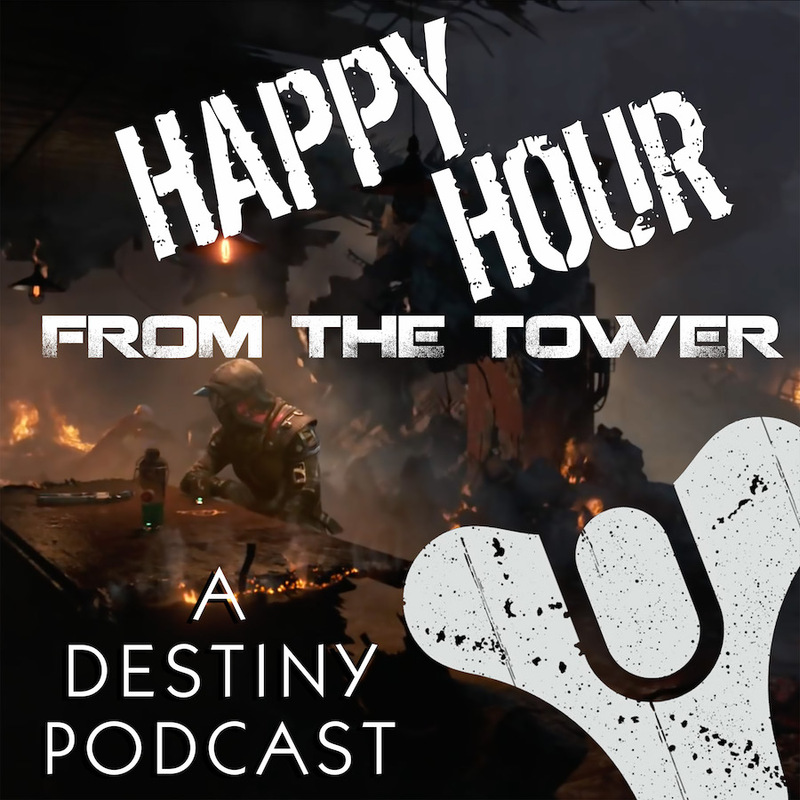 Episode #003 of Happy Hour from the Tower: A Destiny Podcast was not supposed to happen for another week but let’s be honest— Bungie had a pretty jam packed week last week and we needed to get back to the Tower and talk about it. How about those new drop-in’s? …but HOLY HANNAH IN A HELICOPTER, Bungie is keeping us busy! What is up with that “From the Beginning” accomplishment?! Tee sums up the Age of Triumph. Brandon is closing in to the coveted 400 Light Level with his Huntress after five days. Five. Days. Shout out to Obi Orion! Whatever Tee is drinking, he’s having a wild ride with this episode. With the Husk of the Pit, Tee was making poor Destiny choices. Nick’s First Impression: Don’t leave the house without your Sunbreaker! Brandon was getting a lot of Ogre Love. Where was Vin Diesel on today’s strike? Age of Triumph, baby — it’s on! Tee and Nick prefer Archon’s Forge. Brandon is all about the Crucible. Quick Tip for the Crucible: How’s your Three of Coins stash? So you think people are digging Cayde-6? Who doesn’t love the SweeperBot? How can you purchase Destiny 2? Have you picked up a Cayde-6 from GameStop yet? What we know about Destiny 2? When heading into the hot zones, get ready to go Cabals-deep! Bungie’s word on the importing of characters. Destiny 1 is not going anywhere soon, but no new content after AoT. A few other upgrades to the game itself. PC Gamers are jumping into the Cosmodrome on Day One. Remember— April 1: Don’t believe anything you read on the Internet. The Internet has got this. Seriously. Shout out to the Headshots podcast!